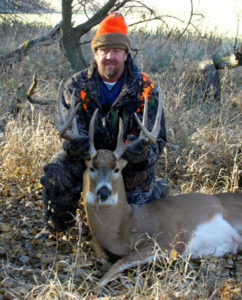 Our Iowa shotgun deer hunting is just that, deer hunting in Iowa. No big secret, special super trophy deer or bull about some local level QDM on limited acreage. Just deer hunting. 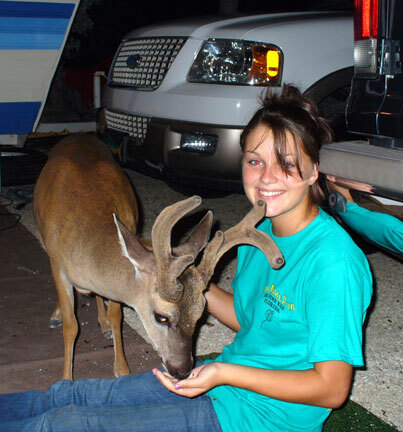 What distinguishes Mid-America Hunting Association Iowa deer hunting is that it is all private land self guided hunts regulated to prevent competition from other hunters. Our pay to hunt approach has a filtering process separating those that want to seriously deer hunt from those that do not. Perhaps our greatest advantage is our large acreage allowing all to hunt as much land as they can without allowing drive, gang or vehicle hunts all of which we consider a low form of the unscrupulous hunter. Keys Deer, showing us local to his area big buck. Some deer hunters travel a long distant to hunt mid-west deer. Iowa does however complicated their deer hunts with split shotgun seasons similar to their multiple muzzleloader and spring turkey seasons. With our approach we require each hunter, resident and non-resident, to read first hand himself all Iowa regulations and insure he is legally correct. The motivation for taking this extra effort at Iowa’s complicated seasons is not just the advantages we provide the hunter, but also due to perceived longer survival of Iowa trophy whitetail to higher scoring rack size as a shotgun and not a rifle state. Add to Iowa’s shotgun regulation that our lease land in southern Iowa is within the region of Iowa’s higher deer densities means more trophy whitetail. Not all things are perfect. Iowa’s shotgun season, at least one of them, conflicts with the Kansas firearms season making the MAHA member to select one or the other. However, Iowa’s proximity to Missouri with Missouri’s OTC deer tags allows for an easy, offset sequential season for modern as well as muzzleloader deer seasons. For those that really want to deer hunt as much as their free time will allow, both Iowa and Missouri will go a long ways to filling that deer hunting time. Some points raised by others about our south central Iowa deer hunting is that food plots are a waste of time. This entire Iowa region is large grain crop fields that have limited ground snow accumulation through the winter. Any food plots are more to appeal to the paid guide hunter rather than for the deer. What is absent in Iowa are both early and winter desired deer forage crops such as alfalfa and wheat. 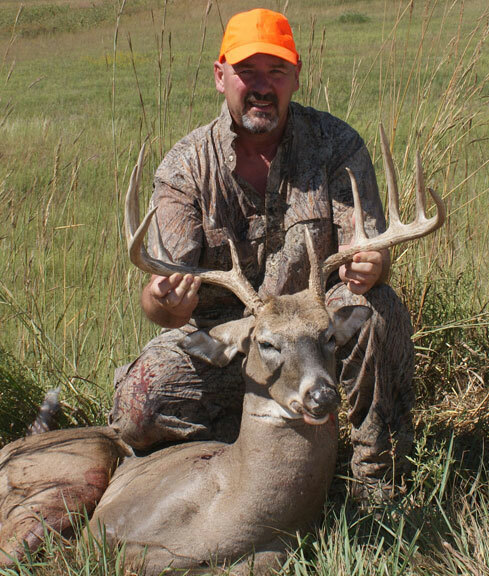 Iowa also lack the tall grass bedding areas many Kansas deer hunters have come to thoroughly appreciate. All in all while Iowa has plenty of deer hunter advantages there is the recognition that not all the best elements of Iowa, Missouri or Kansas combine into one deer locality. However, through MAHA and the variety offered by Iowa, Missouri and Kansas, and their many deer hunter benefits and consequences, there does remained that one set or the other will be more appealing to any one deer hunter if only from the variety aspect alone. Other considerations are that ground blind use does seem more prevalent in Iowa and local motel and meal services limited. Having stands and blinds does give that extra equipment advantage of changing tactics capability matched to cover and terrain. Again, an advantage to a self guided hunter organization. Pack a good sized cooler of breakfast and lunch items as most of the Iowa’s two largest towns in our lease land region will offer at least one supper meal location choice. 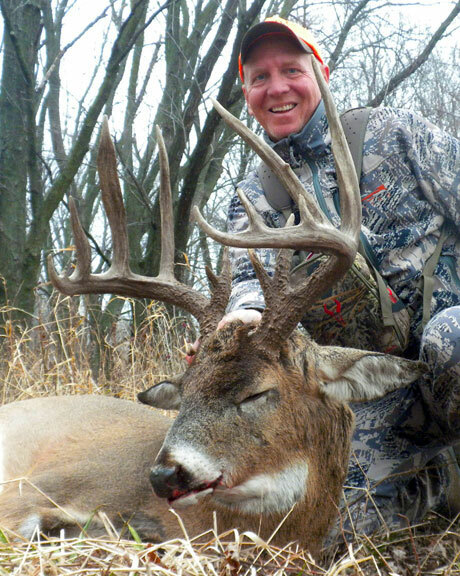 What is the Mid-America Hunting Association Iowa deer hunting advantage over any other Iowa deer hunter option: lots of land, self guided hunts, all season long; just plain hard deer hunting opportunity. That’s it, nothing fancy. I had a really good time last year and it was a change for me, the land and the size of the deer. I’m sorry it took me so long to send you some pictures of last year’s hunt. 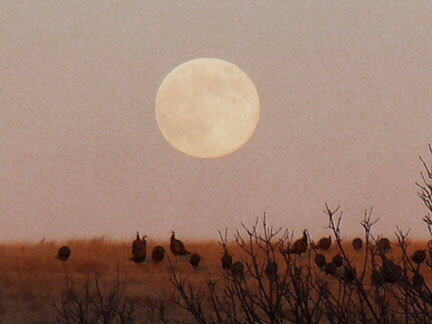 The turkey picture is pretty cool with the moon in the back ground. Thank you for last year and hopefully I will be going next year and will be in contact with you.